From my early days of walking astride my father on the family farm, to writing about Wisconsin agriculture for The Country Today, to acting as a dairy industry spokesperson for the Wisconsin Department of Agriculture, I’ve often thought: if you want to figure something out, ask a farmer. Farmers have a knack of seeing problems as opportunities. Almost every farmer I’ve ever known loves a good challenge. Maybe it’s because they take more time to think than the average person – whether it’s driving tractor, feeding cows, or taking care of the land – a farmer is almost always thinking about the next step, the next hour, the next day, the next week. I am convinced that growing up on a farm led to my great (or, if you ask my family, super annoying) ability to multi-multi-task. So today, I have a story to tell about farmers. This small group of folks – some of whom are still farming, grew up farming, or wish they were farming – are mostly former colleagues, and at this time, wish to remain in the background. So I’m not going to name a lot of names here, but this group has spent many, many years viewing a problem as an opportunity, and then setting out to solve the challenge. (I’ve even had a few cups of coffee with them, talking, thinking, and then thinking and drinking coffee some more. Mostly I just drank coffee – they did all the thinking). These farmers thought there must be alternative ways to get to people to consume the good things in milk without necessarily drinking more milk. They knew people need protein, calcium and other vitamins milk offers. So over time, these farmers, with help from good resources in the Midwest, started coming up with ideas of milk-based products. They mixed up experimental recipes in their farm shops – yes, in their farm shops – in their kitchens, and eventually, in a professional laboratory. And now, after eight long years of thinking and solving, they have come up with an actual product. They call it Moxie Munch: A Powerful Whey to Snack (yes, notice the play on words with whey – referring to whey protein). A crunchy chip, Moxie Munch is loaded with 21 grams of protein per serving, is low fat, and gluten free. Available in Madison stores and online, Moxie Munch features a picture of a Holstein cow flexing her muscles on the packaging. (Disclaimer: I was apparently not included in the coffee-drinking session when the packaging was decided). Yep, despite their deep thinking skills, no one ever said farmers were public relations gurus. So, in an effort to help this great group of farmers, I’d highly recommend you try their new Wisconsin Moxie Munch: available in two flavors – Honey BBQ and Apple Pie. Thank you to them and to all farmers who think about and see things in their own unique way and come up with ideas and solutions that benefit us all. Sassy Cow Creamery, the little creamery that could, celebrates its five-year anniversary this month of producing on-farm bottled milk and old-fashioned ice cream for a growing consumer base demanding not only to know where their food comes from, but also the first name of their farmer. In this case, those first names are James and Robert, third generation dairy farmers who own two dairy farms, and in 2008, built a farmstead creamery in the middle. The Baerwolf brothers, along with their wives (both named Jenny), their growing number of children, and the amazing Sassy Cow sales/marketing guru Kara Kasten-Olson, a former farm girl herself, are a team that freely admits they had no idea what they were doing when they started. Until Kasten-Olson and the Baerwolfs came knocking on the doors of Wisconsin grocery stores five years ago with gallons and half gallons of both organic and traditional milk, only the big boys like Dean and Golden Guernsey had a presence in the retail milk cooler. Kasten-Olson and the Baerwolfs worked beyond overtime the first couple of years to fight a milk mafia uninterested in a local farmer just to get their product placed alongside the conventional commodity jugs of milk. Metcalfe’s Market at Hilldale Shopping Center was the first grocery store in Madison to carry Sassy Cow products. In an interview with today’s Wisconsin State Journal, Store Director Jim Meier says Sassy Cow organic milk is now tied with Organic Valley for the top-selling organic milk at Metcalfe’s, and Sassy’s traditional milk is second only behind Metcalfe’s private label. “We see customers put other products down and pick this one up because it’s right down the road. People are willing to spend a bit extra to support the local economy,” Meier said. Today, Sassy Cow milk is not only alongside the “big boys” of fluid milk in the dairy aisle, it often takes center stage. With their collectible “cow cards” – Darlene’s been on my fridge for years, after my daughter selected the gallon because she thought the cow’s personality description sounded like her mom – the Baerwolfs do an exceptional job of not only telling their farm story, but connecting the consumer to their farm. Five years ago, when Sassy Cow Creamery celebrated its grand opening, it did so with lots of formal speeches from a variety of state and local officials, including Alice in Dairyland. The above photo was taken that day in front of a crowd of about 100 people. The same people in that photo are the same people running Sassy Cow Creamery today. You can meet them this Saturday at an Anniversary Open House from 11 a.m. to 4 p.m., complete with tours, games, product samples and wagon rides. Sassy Cow Creamery is located at W4192 Bristol Rd., Columbus, Wis. From Hwy 151, take the Bristol Rd. (Hwy N) Exit. Head North on Hwy N and travel seven miles. Look for the big red barn on your left, and be sure to say hello to Robert, James, the Jennys, Kara and the crew. Congratulate them for a job well done. An artisan ice cream previously only available in select restaurants and specialty stores has opened its own storefront in the Walker’s Point neighborhood of Milwaukee. Purple Door Ice Cream, owned by Steve and Lauren Schultz, crafts and sells super-premium, super-yummy, small-batch ice cream inside Clock Shadow Creamery in the new Fix Building, at 538 S. 2nd St. The creamery – clad in familiar Cream City brick so that is looks like it’s been there forever — is owned by Wisconsin cheesemaker Bob Wills, and is one of only three urban cheese factories in America. It is named for the nearby Rockwell Corp.’s four-sided clock tower. All of the milk used for Purple Door Ice Cream comes from Wisconsin dairy farms, and the couple sources as many local and natural ingredients for its flavorings as possible. Using local ingredients also makes better ice cream, she argues, and I agree. Purple Door Ice Cream is creamier than most, as it contains 14 percent butterfat, resulting in an extraordinary texture and silky mouth-feel. As a comparison, big-name ice creams you find in your grocery store average only about 10 percent butterfat. In addition to purchasing and enjoying a scoop of ice cream on site, customers may watch ice cream being made, as Purple Door shares production and retail space with Clock Shadow Creamery. A viewing window allows guests to watch both cheese and ice cream production. Purple Door serves up to eight rotating flavors daily and sell pints and ice cream novelties from the Clock Shadow Creamery retail space. Classic favorites such as vanilla, chocolate, strawberry and butter pecan are next to more signature flavors, such as blueberry buttermilk, green tea and mascarpone. Coming soon: introduction of ice cream sandwiches in the next few weeks, adding catering (weddings, parties, ice cream socials, corporate events) this fall, and introducing a new fall line of flavors in October. While the company officially celebrated its first business anniversary last April, Lauren says the move to a storefront has allowed Purple Door to expand its pint production and introduce at least two or three new flavors. Expanded sales are also helping the community. At the launch of their business last year, the Schultzes started their Milk for Milwaukee program, in which 10 cents from the sale of each pint, and a portion of profits from all other size containers sold, goes to buy milk for local men’s, women’s and teen’s shelters. I’m not sure what you do when you get bored, but when I’m tired of sitting at my desk writing about cheesemakers, I organize a tour to go see them. Then I take 20 people along with me. Sound like fun? Here’s 4 upcoming tours in 2012 in which I’d love for you to join me! Plus, we’ll indulge in a fabulous local-foods dinner and overnight bed and breakfast stay at The Roth House and Old Oak Inn in Soldiers Grove. Tour price includes all meals, tours, tastings, accommodations and transportation via air-conditioned motorcoach. Reserve your spot by July 15.Price: $345 per person, based on double occupancy. $395 for single travelers. View a detailed itinerary by clicking here. Save your seat by clicking here. It’s been called the Napa Valley of the Midwest, and for good reason. With its own micro-climate of plentiful rainfall, sweet soils and limestone-filtered water, the unglaciated corner of Southwest Wisconsin is dairy paradise. Start out the day with a tour at Uplands Cheese in Dodgeville, where you’ll meet Cheesemaker Andy Hatch and tour the farmstead creamery crafting the best-known cheese in America: Pleasant Ridge Reserve. Then motor to Cedar Grove Cheese in Plain and meet Bob Wills, Wisconsin’s chief incubator of up-and-coming cheesemakers. 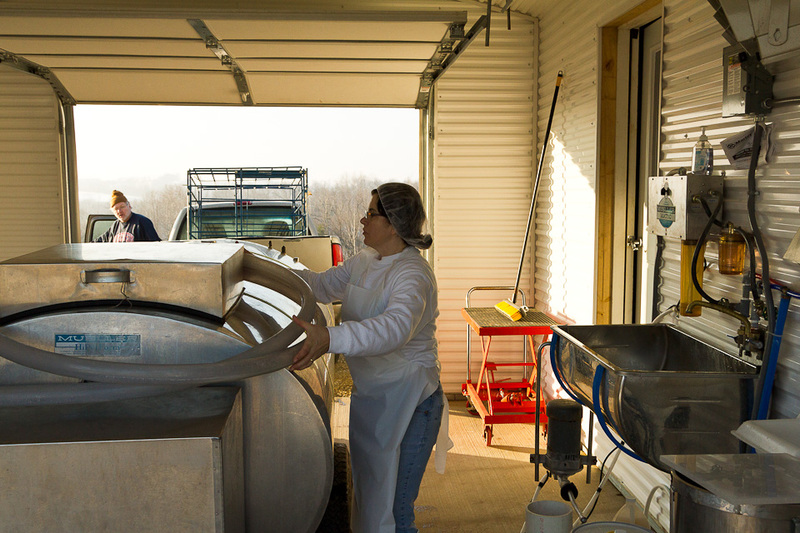 You’ll tour this historic cheese factory as well as the facility’s “Living Machine,” a working ecosystem using natural microbes and a collection of hydroponic plants to biologically treat cheese wastewater back into clean water that is discharged into nearby Honey Creek. After lunch and time for shopping at the charming General Store in downtown Spring Green, you’ll cruise to Dreamfarm in Cross Plains to meet Cheesemaker Diana Murphy, ooh and ahh over her super cute herd of milking goats and pastured chickens, and taste her farmstead goat’s milk cheeses. Scenic views of rolling hills and winding rivers from the expansive windows of a luxury bus included for free. This customized, small-group tour is part of the Fourth Annual Wisconsin Original Cheese Festival (come for the whole weekend) and will depart Madison at 7:45 a.m. and return to Madison by 5 p.m. Limited to 20 people, with time for personal conversations with cheesemakers at a casual and enjoyable pace. Price: $115 per person. Includes transportation via an executive air-conditioned motor coach, specially-arranged lunches, custom tours, and cheese tastings at each stop. Tickets go on sale in September. Saddle up for a day of eating cheese and drinking beer, folks. You’ll motor in a luxury bus to fabulous Green County, home to more than a dozen cheese plants in a 585-square mile area. First up: a tour and tasting with Cheesemaker Myron Olson at Chalet Cheese Cooperative, home to World Champion Baby Swiss and the only cheese factory in North America still making Limburger, the king of stinky cheese. You’ll have a chance to cleanse your palate at the next stop: Minhas Brewery in downtown Monroe, where dairy maids will lead a 1-hour tour and tasting of some of the finest craft beers made in Wisconsin. Lunch is up the street at Baumgartner’s, one of Wisconsin’s best-loved and historic taverns. If you’re lucky, the bartenders might even flip a dollar bill on the ceilings while you’re there! Round out the afternoon at Emmi Roth USA in Monroe with a tour of the company’s impressive Gruyere aging rooms, and an exclusive cheese tasting in their elegant Culinary Center. Word to the wise: bring a pillow, as you’ll most likely be napping on a full stomach all the way home. More than 20 farmstead dairies have sprouted in Wisconsin in the last 10 years, and this tour gives you a backstage pass to two of the best. You’ll start your day with Cheesemaker George Crave at Crave Brothers Farmstead Cheese in Waterloo, with a tour of the cheese factory, followed by a farm tour and opportunity to get up-close-and-personal with farm cows and calves. Afterward, enjoy an elegant cheese tasting and lunch in the Craves’ new on-farm Culinary Center, where you’ll taste the Crave cheeses in exciting new dishes. Next, motor in your luxury bus to Sassy Cow Creamery in Columbus for a dairy plant tour of milk bottling and ice cream making with owner James Baerwolf. After ordering your choice of ice cream cone, milkshake or sundae, you’ll tour the Baerwolf dairy farms, where each brother milks a herd of organic and conventional cows. End the day with a private cheese tasting at Fromagination in Madison, where you’ll have a chance to taste a half dozen of the best farmstead cheeses from Wisconsin. We promise you won’t go home hungry. To stay updated on all tours, tastings, dinners and events regarding Wisconsin artisan cheesemakers, visit www.WisconsinCheeseOriginals.com — membership is only $35 per family or company! I’d love to see you at my next cheesy event. Built in 1890 by “Butter King” John Newman of Elgin, sold to “King of Kings” cheesemaker Albert Deppler of Green County, and today owned by Anne Lancaster, whose product logo – in a nod to the creamery’s past – includes a bright yellow crown perched on the “L” in its label, the century-old Springbrook Creamery on the banks of the Pecatonica River in Argyle has been home to two kings of dairy in its lifetime. With the rebirth of her family’s “Louie’s” line of dairy products, owner Anne Lancaster is working hard to become the third king of this Wisconsin creamery. And this time, she’s doing it with pudding. Now home to Louie’s Puddings, the creamery is where Anne and her team of four part-time employees make small-batches of baked custard and home-made bread, rice, tapioca and chocolate pudding. Products are marketed regionally in local grocery stores and convenience shops. Known for its colorful lids featuring a pencil sketch of the creamery behind the regal Louie’s label, Louie’s puddings are making something of a comeback here in Wisconsin. The business was started by Anne’s parents-in-law (the original Louie) in 1984, after the couple retired from farming, and like most “retired” farmers, they promptly started another business. All of the recipes, except for the Chocolate Pudding, are Old World family recipes. The chocolate is a new creation, and is my favorite. Sweetened with sugar instead of high fructose corn syrup, it carries a creamy and rich taste, not a sickly sweet flavor one often finds with commodity chocolate puddings. In addition, Anne and her part-time team also make Baked Custard, plain, with raisins or with rice (yummy), and add raisins to the original Old World Rice recipe, for a fabulous Rice with Raisin home-made pudding. Making only 1,200 pounds of pudding a day, Louie’s Puddings is an anomaly in the pudding world. Not only is it small, it uses custom-made equipment to produce that home-kitchen taste. Each day starts when milk is delivered and pasteurized, and then cooked for 55 minutes at over 200 degrees. Ingredients and flavors are then added, cooking stops, and the mixture is stirred. The batch is poured into a hopper, which dispenses it piping hot into plastic tubs. It is then sealed and wheeled to a cooling room, where later it will be labeled and packaged for delivery, carrying a 45-day shelf life. Although distribution right now is limited, Anne is working to increase sales. 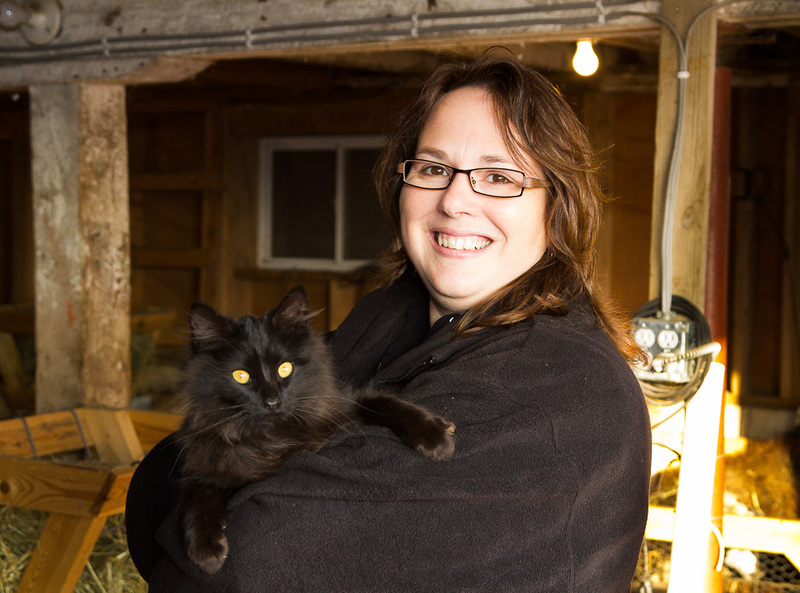 She also dreams about sharing the 3,000 square-foot space with other dairy artisans. If anyone can make that happen, it’s Anne. She and her husband were both raised on family farms in the Argyle and South Wayne area. A banker by trade, she bought the business from her retired in-laws in 2009 and since then, has increased production, shelf-life and flavors. She has no desire to return to the corporate world and appears to have found her calling, in of all places, an old butter plant built into a hillside along a river that is also home to the community’s bomb shelter in southwest Wisconsin (more than 2,000 square feet expands underground and is used for storage). So are we, Anne. And if that future could contain a certain someone’s favorite pudding, as in perhaps, ahem, Pistachio, we’d love Louie’s Puddings even more. Just sayin’. Turning 40 years old isn’t so bad when you’re surrounded by your favorite people, especially when those favorite people happen to live on a sheep dairy and it’s lambing season. Last Wednesday was my big 4-0, so the hubby and I trekked to Hidden Springs Creamery near Westby to hang out with Dean and Brenda Jensen and their 350 sheep for the day. Brenda had hinted last fall my birthday would conveniently fall during prime lambing season, and really, who doesn’t want to spend their 40th birthday in a barn surrounded by newborn bleating lambs? Hello, dream trip! 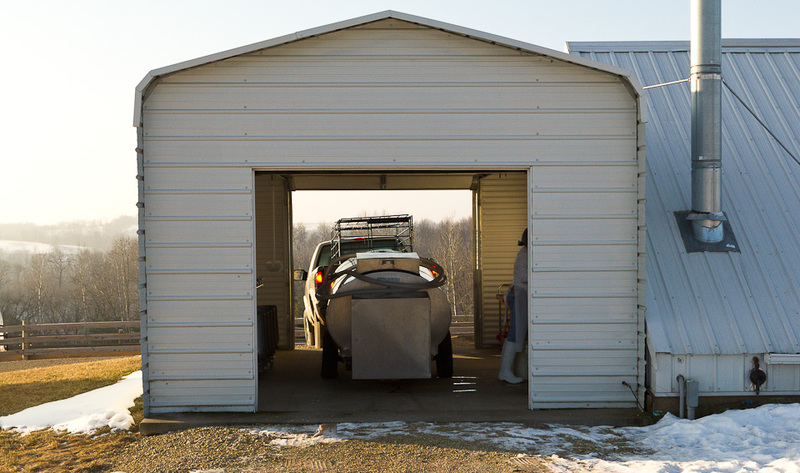 We arrived late afternoon, just in time for transporting the 11 lambs born that morning to an Amish neighbor’s farm, as Brenda had run out of clean stalls (this occasionally happens when you have 275 moms giving birth to an average of twins in a 30-day period). Another 75 ewes will lamb in May, giving Brenda a longer milking season, and thus more milk to make cheese later into the season. How do you transport newborn lambs, you ask? You pick them up from their stalls, carry them to the farm pick-up, carefully place them in tubs in the cab, and carry the extras on your lap. It’s amazing how warm, snuggly and quiet a newborn lamb is – I think the one I was holding in my lap for the 3-mile ride may have actually fallen asleep after it pooped on me. The Jensens are currently milking about 150 ewes, which takes just a little over an hour in their new double 10 Swedish parlor, a huge improvement over their home-made milking station they used the first five years they were on the farm. After milking, we took a tour of the lambing facilities. The lambs start their lives in the nursery, born in straw pens, and then are moved to bigger pens as they age. On March 28, most of them will be sold at market – just in time for Easter dinner – and the Jensen farm will be a much quieter place. The Jensens’ farm is absolutely breathtaking. Situated in the heart of Amish country, it’s all hills, fences and pastures. Their morning milker is an amish neighbor, hence the buggy in the photo. 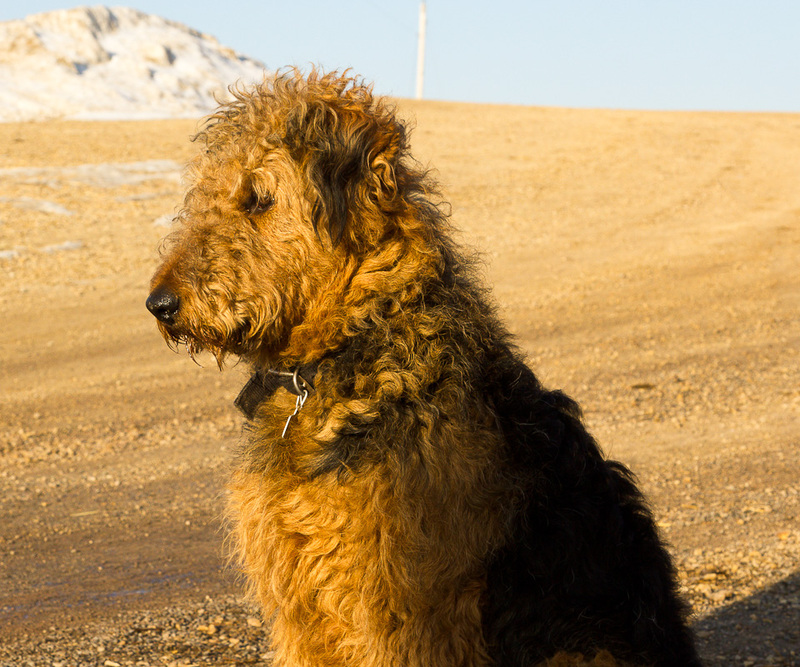 We didn’t stick around to make cheese with Brenda in the morning – I’ve made cheese with her a couple of times before, once with my daughter, so we said goodbye to the Jensens and rolled down the driveway, although not without saying goodbye to the barn cats and Augustus Burdock Jensen, the farm dog. Many, many thanks to Brenda and Dean for your hospitality, laughter and kindness in helping me celebrate the big 4-0! It couldn’t have been any better. Photos by Uriah Carpenter, copyright 2012. One of Wisconsin’s best-loved farmstead cheesemakers thought building a new cheese factory, a 300-cow dairy farm and farmstead retail store with an agri-tourism focus would be welcomed by their entire local community. They thought wrong. Holland’s Family Cheese’s Marieke and Rolf Penterman, along with their five young children, are facing opposition and open hostility from a very small but vocal group of Thorp residents, who argue a “factory farm” within city limits will lead to water contamination, air and soil pollution, and an increased risk of children developing asthma from the dust and odor of a working dairy farm. Last week, Holland’s Family Cheese company members appeared before the City of Thorp Planning Zoning Commission to ask for a re-zoning of 100 acres on the edge of Thorp’s city limits off Highway 29. The Pentermans have dreams of expanding and relocating their “Marieke Gouda” cheese factory from its current rural location to a more visitor-friendly parcel on the main highway. The proposal calls for building a new 300-cow freestall barn on the highway, which would provide milk for the family’s authentic Dutch Gouda, winner of dozens of national and international awards. The good news: the Planning and Zoning commission unanimously voted to recommend approval of the project to the City Council, with more than 100 people attending the local meeting. While some testified in opposition, most testified in favor. The bad news: unfounded accusations pertaining to everything from the Pentermans’ immigrant status, to whether they shop locally, to the cleanliness of their current 850-cow dairy have been floating amongst the community for weeks. These negative rumors have hurt the Pentermans, who until now, felt like they were accepted members of the Thorp community. Marieke is asking Holland’s Family Cheese supporters to post positive comments on both the City of Thorp and Thorp Chamber Facebook sites, as both sites are now filled with extremely negative – and sometimes, blatantly false – comments regarding the Pentermans and their proposal. “If anyone has any bright ideas or suggestions as to how to help this situation, please let us know,” Marieke said. Cheese Underground supports Holland’s Family Cheese, recognizes their importance to the Wisconsin dairy industry, and has witnessed first hand their dedication to operating a top-notch, clean dairy farm and Grade A cheese plant, both in complete compliance with Wisconsin’s strict dairy regulations. Let’s hope a vocal majority in favor of a new Holland’s Family Cheese cheese factory and agri-tourism-focused dairy farm now takes the floor and allows the Pentermans to disseminate the facts of their new family farmstead operation, so it may be judged on its merits, and not on rumors. It may have spent 10 years on the “back burner,” but the launch of a new cheese this fall by a Wisconsin dairy family has definitely made the wait worthwhile. Creamy and mild, LaBelle is the fourth child of Oconomowoc dairy farmers John & Kim Koepke. (Their first three children are actually children ages 2, 7, and 10, but anyone launching a new cheese will tell you it’s about as much work as having another kid). LaBelle’s official description is a blend between a Gouda and Butterkase, but my official description is “yumtastic.” Creamy, flavorful with just the right body and a perfectly clean finish, LaBelle is the kind of cheese that you can sit down and eat an entire package before realizing it. (Don’t ask me how I know this). “We wanted to make a cheese that was comfortable in the kitchen but okay to eat while watching the Packer game,” Oconomowoc dairy farmers John & Kim Koepke told me last week. Well, folks, I think you can consider that mission accomplished. Made at Cedar Grove Cheese in Plain, Wis., LaBelle is enjoying a successful run in local markets and continually sells out special dinners at The Pub in downtown Oconomowoc. The Koepkes are now experimenting with a Foenegreek flavored LaBelle, with other flavors on the horizon. When they’re not making cheese, the Koepkes are busy winning awards for their stellar dairy farm, located in Waukesha County. In October, they were chosen as the second-ever recipient of Wisconsin’s Leopold Conservation Award, bringing with it a $10,000 cash prize and Leopold crystal. 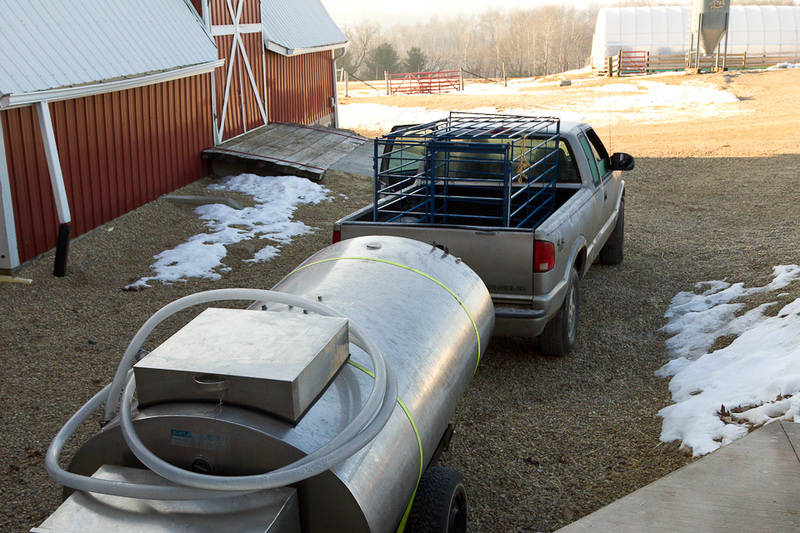 Before that, they scooped up the “Dairy Farm of the Year” at the 2011 World Dairy Expo. The farm is a partnership between brothers Alan, David, Jim and Jim’s son John. Kim is in charge of marketing and sales of the farm’s cheese venture, and she certainly has an eye for logo and brand development, evident by the cheese’s stunning packaging and logo, developed in partnership with consultants at the Dairy Business Innovation Center, a non-profit organization that helps folks just like the Koepkes launch their own value-added dairy products. And while LaBelle is currently made at Cedar Grove, I get the feeling this farm couple will someday build a factory of their own, after the kids are grown and Kim can focus on perhaps getting her own cheesemaker’s license.